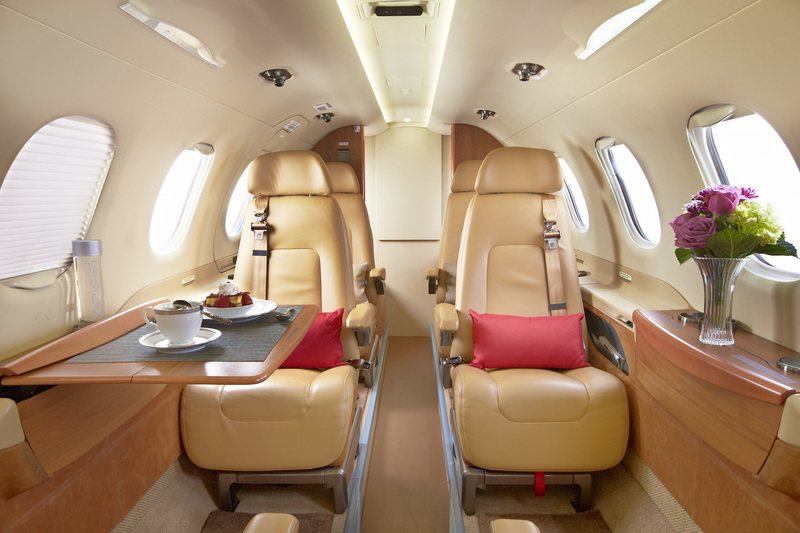 Super Midsize Jet class and offers many impressive features. baggage space in the Citation Sovereign is unmatched compared to other Super Midsize Jets with 132 cubic feet of baggage space. customer favorite because it compares to a Heavy Jet, but is more economical as far as fuel economy. It performs exceptionally well at high elevations and is very capable of take-off and landing from shorter runways. Sovereign is able to cruise at speeds of .75 Mach. It is equipped with Pratt & Whitney Canada PW306C turbofan engines that are flat-rates to minimize noise pollution, and provide 5,600 lbs of thrust during takeoff. From the landing gear to the brake system and unique variable gearing mechanism that adjusts the jet’s flaps to optimal angles during flight, the Citation Sovereign is hard to beat in overall performance, comfort, versatility, and range. We’d love to hear from you! Please follow us on Facebook, LinkedIn, Google+, Twitter and Instagram for the latest news and updates from FlyPrivate. Challenger 604 and as wide as a Gulfstream IV for additional space and comfort. performance, it was renamed the Challenger 300 at NBAA 2002 and received its certification in 2003. To date, Bombardier has delivered more than 150 different models of aircraft. An exceptional value, the Challenger 300 seats eight passengers and is equipped with state of the art entertainment systems. It can travel travel non-stop over 3,527 statute miles at a cruise speed of 528 mph. 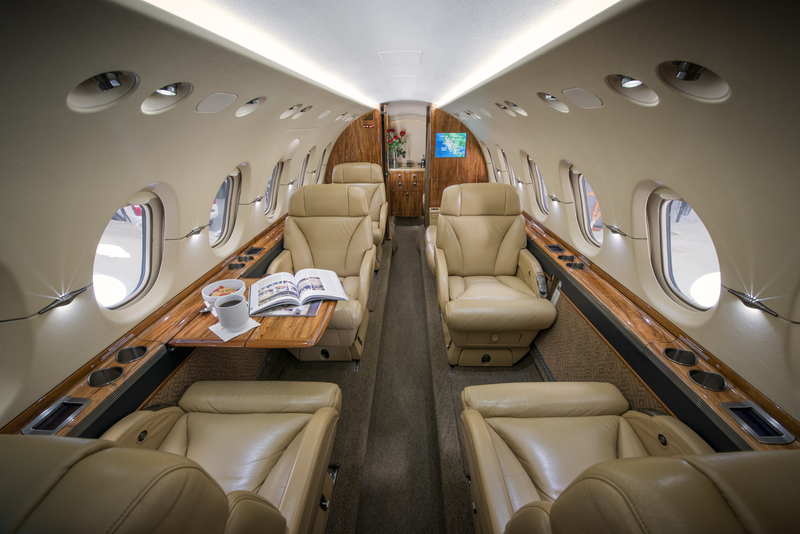 The interior of the Challenger 300 has a wide, flat floor and enough height (6’1″) for most passengers to stand-up in the cabin, creating a comfortable and productive environment for passengers. The cabin also contains a galley perfect for snacks and light meal service, a state-of-the-art NICE® (Network Integrated Cabin Equipment) electronics system, a full lavatory, and other impressive features for conducting business such as satellite telephones, electrical outlets, two 20” widescreen LCD monitors, a DVD/CD player, and iPod unit that are all standard to the aircraft. 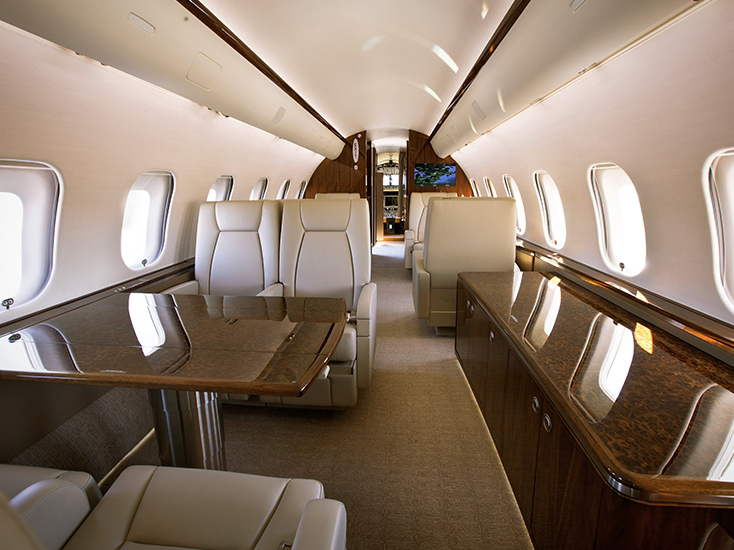 This jet also has ample baggage space and in-flight access to a large internal baggage compartment. To request a Challenger 300 for your next trip, contact us! champions of speed and range but were limited on cabin size and baggage area. Cessna needed to develop something bold for their loyal following. The increased speed and 3,000-mile range make the Citation X very popular for coast-to-coast trips and for customers who are looking to take advantage of the possible time-saving. The fastest we have ever tracked one of our customers in a Citation X was 627 mph on a trip from SNA-TEB. This resulted in a one-hour time-saving over a heavy or midsize jet. The Citation X is classified as a super midsize jet. aircraft and book up as swiftly as they fly. The Falcon 50 is often used as a cost effective alternative to a heavy jet. This jet features a galley with plenty of space for meal service, a fully enclosed lavatory, enough baggage space to accommodate 8 full-size suitcases or sets of golf clubs, and often comes equipped with a cabin attendant and Wi-Fi. The cabin is very comfortable with leather chairs, fold-out tables, and couch seating. 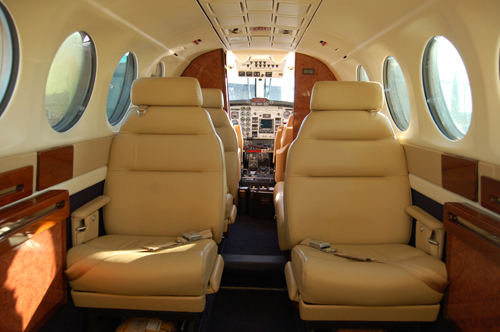 The quiet cabin makes the Falcon 50 ideal for business meetings or just relaxing. requiring only a short takeoff distance. The Falcon 50 was produced after a complete redesign of the wings of the Falcon 20 and contains three jet engines instead of the two jet engines on board the Falcon 20. This made the Falcon 50 the world’s first civilian jet with supercritical wings to minimize drag and noise pollution, a breakthrough technology for the time. original Falcon 50, while also reducing fuel consumption by about 7%. To request a Falcon 50 for your next trip, please contact us. We would be happy to provide you with a flight quote.